Advocacy can be intimidating, but it is an essential part of providing the best library service possible to your community. Remember, the more you talk about your library, the more support you’ll gain for what you do. As you share your enthusiasm, it will spread to your community. The Kansas Library Association created a fabulous Kansas Libraries Transform booklet that uses stories about Kansas citizens to demonstrate how libraries make life better in Kansas. Print it out and share it with your patrons and your community leaders. Take some time every year to meet with your State Representatives. Invite them to your library for an event or visit them at the State House. Having positive interactions with the Representatives for your region can turn them into friendly supporters instead of disinterested policy makers. Hi, this is Bob Brown and I live in Metropolis, Kansas. I’d like to speak to the staffer who works on LSTA funding. Hold on please while I check if that person is available. (pause) I’m sorry, our education Legislative Assistant isn’t available right now. Can I take a message? Yes, I’m calling about the FY19 IMLS appropriations bill. 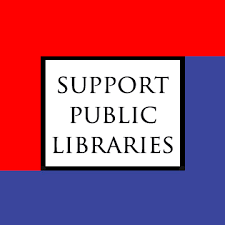 I know Senator Smith is on that committee and as a patron of the Metropolis Public Library, I’d like her to make sure that the IMLS receives at least $32 billion for FY14. In an effort to provide predictable, sustained funding for the NIH and the researchers who receive LSTA grants, I would also like Sen. Smith to support regular funding increases for the IMLS with the goal of $35 billion by FY22. My children use the library for doing research and receive material through Interlibrary Loan which is funded by LSTA grant to our state library. It is important to maintain adequate resources at the IMLS so we can continue to share resources in our state. Thanks for your message. Can I get your full name, address, and telephone number? Bob Brown, 1234 First Street, Metropolis, Kansas, 12345. (206) 555-2233. Thank you. I will pass along your message to the Senator.